I am genuinely shocked that it is December 31st already. Time flies is totally true, but I feel like 2012 began just yesterday. And what a year 2012 has been. I think I have grown and learned the most in this year than the past few combined. I find myself ending the year in a fantastic place. Happy, healthy, focused, loved and moving continuously forward in my life. Progress is a great thing. I have achieved many goals, and as always it has been proved: hard work pays off. First off, professionally – I am now in a place with a job I love (yes going to work on NYE – I still woke up genuinely HAPPY this morning blessed to love my job and 100% okay not having the day off). And I am continually growing. I see a great future for myself in my company and happiness in work translates well into happiness in life. I am a firm believer that you have the ability to create your own success and happiness and think that the past few years of employment and uncertainty and such have given me good karma to be where I am today. Second in my personal life, I am lucky to have the support of a fantastic family; my relationship with them could never be replaced. I have amazing supportive parents, and my sisters are awesome and I am constantly amazed that we are all adults and all doing so well in life. I am so proud of all of us. I have also learned this year that when you make some life decisions to become a better version of yourself you will lose some friendships along the way. I had long since given up the “party” lifestyle and with it this year learned who my true friends were and who the fair weather lets go get drunk at the bars friends. That is okay by me. A couple years ago when I was on the verge of turning 30 and evaluating my life I took a long hard look and realized – what was so desirable about going out and getting drunk a few times a week. I needed to grow up. And that was the choice that I made. My lifestyle has shifted and I feel like a mature and responsible person versus someone trying to keep a grip on the college lifestyle. I know that some of the best friends that I have I can go months without seeing then we get together for a dinner and it is like we last saw each other yesterday. Those are the friendships I value, the ones that endure when life gets busy. I am blessed to have some very special people in my life. Along the way this year though I have also gained some truly amazing supportive friends that I know will grow into lasting friendships. You need to surround yourself with people that make you want to be a better person; that push you and challenge you. And the people that I have in my life emulate that. Whether it is in racing, volunteering with charities or striving to rise in their professions, I see them succeeding and I want to push for more success. And finally, running. The simple little activity that has become a beast in my life. I don’t know what else to say besides I love it. The simple joy that running brings is indescribable. What is so simple and basic has become as essential to my life as breathing. 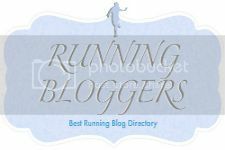 Unless you are a runner you cannot understand it. I began 2012 with no set goals. 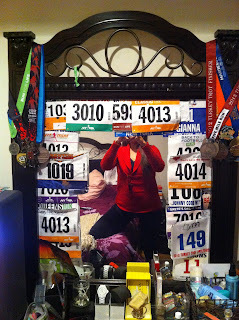 I knew I was going to continue to run half marathons but didn’t have many concrete goals established along with that. I set out and PR’d my first one, but not by much and that left me wanting more. That lead to me overdoing it and upping my mileage too fast too soon and having to take off a full month. Having the scare of my life being told I needed MRI’s to rule out a stress fracture and that they were scared just the act of walking was going to break something was enough to have me reevaluate what I was doing. Once a hip stress fracture was ruled out, I was forced both by pain and necessity to take off from running for a full month or so. Walking was painful and running literally reduced me to tears. The best they could tell me was that it was an overuse injury. Frustrating to say the least. 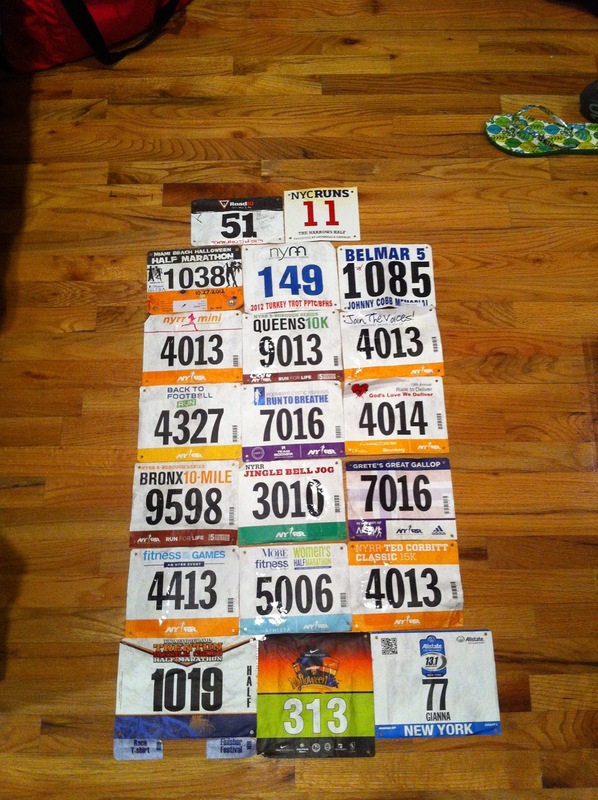 That month off was the best thing in my running career. I spent the month cross training by way of biking, ellipticalling until blue in the face and swimming. That also had me up the intensity of my strength training. I overhauled my eating habits as well to get leaner. Losing weight equals gaining speed. Sounds like a good trade off in my book. I came back to running by the means of a 10K and since then there has been no looking back. I increased my mileage in a SAFE and effective way. Continued to supplement with cross training and was also lifting several times a week. Heavy weights are effective. The summer was spent training and racing in the heat. I formulated goals. I was getting faster and I wanted to hit a sub 2 hour half marathon by the end of 2012. Enter the Newport Half Marathon, at the beginning of September I ran the Bronx 10 mile in the heat and sub 9 minute miles. I was so confident that I was going to get sub 2 hour for Newport. And sub 2 I did, 1:54 to be exact. Elation. This is just insanity. 2012 has been busy. And with that came the fall of racing like mad. 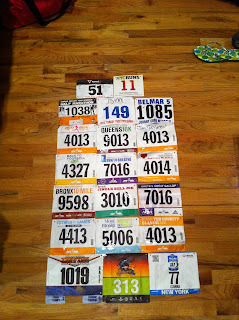 I ran a race most weekends. I finished several half marathons. I was knocking off PR’s left and right. I was closing in on sub 8 min miles for my 5K’s and 4 milers. Getting faster it felt amazing. I am so dedicated to my training and there have been a few times I have wondered if I am crazy for how focused I am but the success; I don’t know if I can describe how accomplished I feel. That all translates to this. Most importantly: I was having FUN. Waking up before dawn on the weekends did not seem like a chore it was like Christmas knowing I had a race. I think that alone shows that you are doing something you love. As my final half’s of the season were coming up I realized I needed new challenges. I ran the Trenton Half Marathon, ending on a high note of yet another half PR at 1:53 (that time is WITH a bathroom pit stop so close to 1:50!) and decided, it’s time for a marathon. I had such runner envy for those training for NYC (a sad debacle in itself) and was running marathon mileage most weeks and it happened; I registered for ING Miami Marathon which will be the day before my birthday. A fitting way to celebrate I believe. So now as the last hours of 2012 are upon us I have no regrets. No thoughts of I should have done this differently. I have improved upon myself; taken control over every aspect of my life that I could and the rewards are amazing. So here is to a fantastic 2012 and cannot wait to share what I have planned for 2013! Have a great New Years! Congrats on an awesome year! Seeing improvements is the best reward to dedicated training and I think it only renews my commitment to strength training, speed work, and cross-training. Here's to great things in 2013! Thank you! 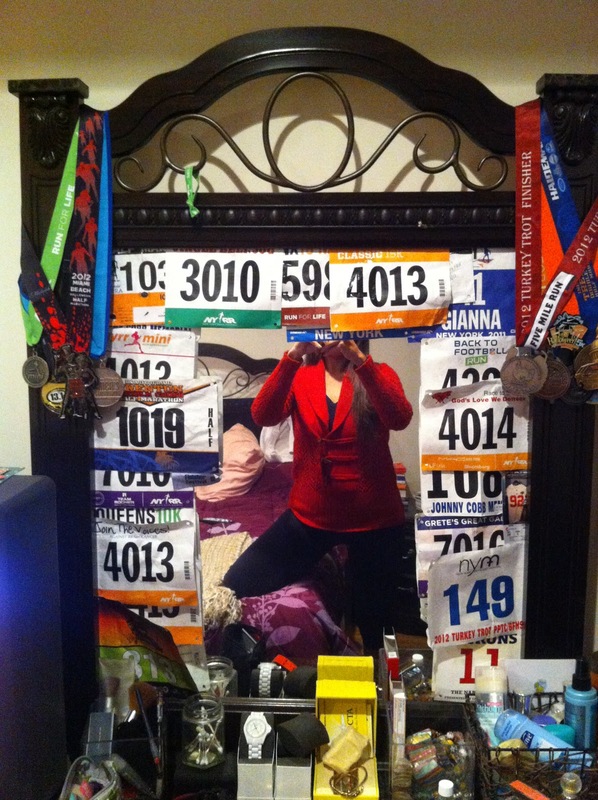 It's always nice to reflect on your accomplishments. I think sometimes it is easy to get caught in the moment and you forget just how far you have come. I'm ready for a great 2013!